A teacher's last minute encouragement leads to GOLD for a pair of 6th graders at Richard T. Stank Middle School. Susquehanna Valley High School will be well represented in state judging in this year's National P.T.A. Reflections Program. Siblings Dylan and Katie Howe, who have been participating in Reflections since elementary school, have advanced to the next round of competition. The month of March brought a celebration of music to Susquehanna Valley. We appreciate the enthusiastic support of so many people at the March shows and for your ongoing support of the SV music program. During the month, a number of our music ensembles performed at the Oakdale Mall, and the celebration concluded with the high school concert March 21. You can find pictures in our PHOTO GALLERIES. 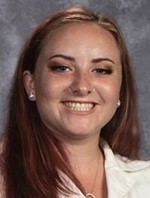 Julia Allen, SV High School Class of 2015 Valedictorian, has been named a Merrill Presidential Scholar at Cornell University, where she will soon graduate with a B.S. in Industrial and Labor Relations. This is an honor bestowed upon the top 1% of graduating Cornell students who have demonstrated academic excellence, leadership ability and potential for contributions to society. Julia will be honored at a luncheon for Merrill Scholars May 22. Joining her will be SV High School teacher William Egan. Students who are named Merrill Presidential Scholars at Cornell are asked to recognize a Cornell faculty member AND a teacher from high school who most inspired them. Susquehanna Valley High School is proud to have a very active National Honor Society chapter. The students and their advisors are out in the community regularly lending a helping hand - most recently with the Food Bank of the Southern Tier Mobile Food Pantry at Endwell United Methodist Church. As THESE PHOTOS show, this exceptional group of young people set a shining example, and make all of us in Saber country very proud. For the second year running, Susquehanna Valley's Ivan Gates has impressed the judges in the SkillsUSA regionals and earned himself a spot in the state competition. 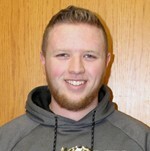 Ivan, who competes in the Building Trades/Plumbing program, earned a second place finish at the Regional Conference at SUNY Morrisville February 8. The second place finish earns Ivan a trip to the April 25 NYS competition in Syracuse. Last year, Ivan won first place in the regionals and turned in an outstanding performance at states. At the conclusion of the 2018-19 winter sports season the SV Athletic Department and Sabers community celebrated senior athletes and their parents/guardians with the traditional Senior/Parent Recognition Ceremonies. MORE HERE. Two of Susquehanna Valley's best wrestlers are sporting championship belts! A big Saber high five to Mitchell Knapp and Trevor Frable! Learn to Swim at SV! The 2019 edition of The American Red Cross and Susquehanna Valley's Learn to Swim program is underway. Young children and youth swimmers just being introduced to the water, or who want to work on their swimming skills can jump in the SV HIgh School pool in four sessions running through May 18. THIS FLYER has all the details, including registration and payment information. See you in the pool! For eight Susquehanna Valley staff members who recently attended the annual NYSCATE conference, the experience proved informative, entertaining, and even magical. Marist College in Poughkeepsie has just lassoed a star. Trinasia Kennedy, who walked the stage of the Forum in Binghamton this past June as a Susquehanna Valley Saber, has committed to attend Marist and play for its exceptional women's basketball program. One of Susquehanna Valley's finest is heading east when her days as a Saber are through. Senior Maeve Donnelly has signed her national letter of intent to attend the University of Massachussetts Amherst. What a night it was! The October 5 grand opening and official ribbon cutting ceremony for our new synthetic turf field and stadium was one of the most memorable nights in the history of our school district. 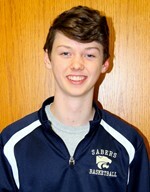 Susquehanna Valley High School senior Ryan Ewanow has joined an elite group of high school students across the U.S. Ryan has been named a 2019 National Merit Scholarship Program Commended Student, thanks to his outstanding performance on a rigorous qualifying test. Of the more than 1.6 million students taking the 2017 Preliminary SAT/National Merit Scholarship Qualifying Test (PSAT/NMSQT) last October, 34,000 high performers were named Commended Students and were recognized by the NMS Corporation for their exceptional academic promise. 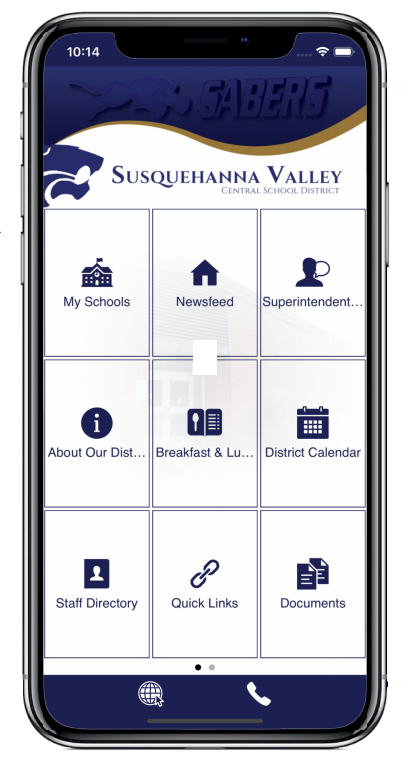 Susquehanna Valley Central School District announced the launch of the Susquehanna Valley Central School District app by esv2go which is now available for iOS™, Android™, and Windows™ devices. 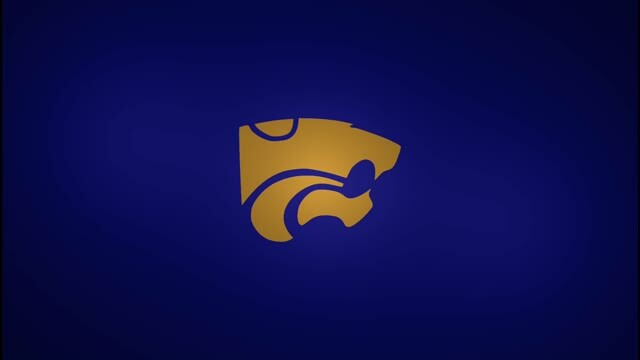 The app enables parents, students, faculty and staff with the ability to stay connected and informed about what’s happening at Susquehanna Valley Central School District. Administrators can now easily promote unified messaging through cross platform communications to the app, via push notifications. The Susquehanna Valley Central School District app by esv2go is free and provides parents with quick access to everything school-related including calendars, directions to events, important documents, cafeteria menus, and more.